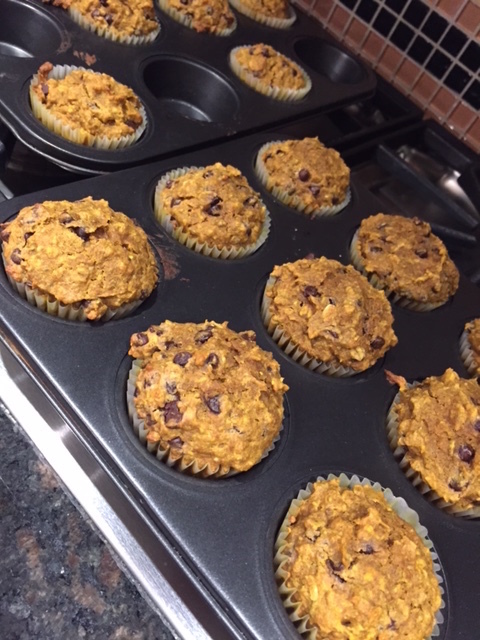 Just in time for Halloween, I have for you, another delectable muffin recipe! Not overly pumpkin flavoured — these moist, nutritious muffins make for a wonderful fall and winter treat or to go along with breakfast. Spoon badder into muffin cups lined muffin tin… make them as big or as little as you like. Bake for 20 minutes until cooked in the centre and golden on top. Let cool and remove from muffin tins.